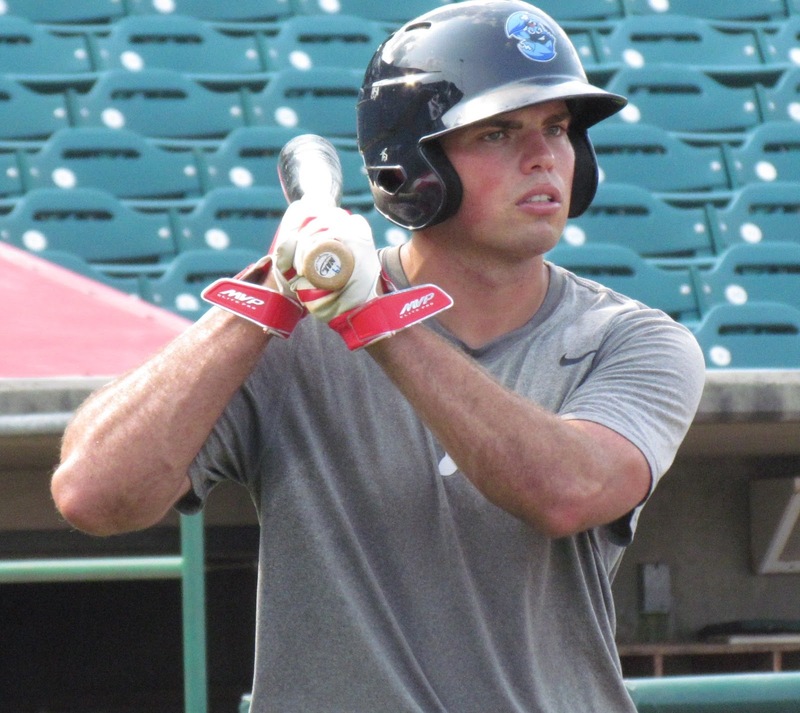 Corner infielder Damek Tomscha has been a solid performer of late for the Class A Lakewood BlueClaws. Overall this season, the Phillies' 14th round draft choice from 2014 has posted .270 average with four homers and 32 RBI in 77 games. -You've had some solid success recently, especially after the promotions of some teammates up to Clearwater. What can you tell me about the improved output? I mean, you just definitely have to step up. You're given the opportunity, I just feel like you need to take advantage of it and I was kind of playing here and there at the beginning of the year and then I started hitting the ball a little better and got the opportunity to start playing a little more. So, I just feel like, for the most part, I'm making the most of my opportunity and doing what I can for the team. -I know from talking with the coaches that you've made some improvements. What's different for you that has helped out with your offensive production? I kind of switched a few things up with my stance with (hitting coach Nelson) Prada. We worked some things out and I got a little more upright and I feel like I've been able to get to that inside pitch a bit better and I've gotten the barrel out to those inside pitches and, you know, just going up there swinging, not so much thinking about what I need to do with the fundamentals of stuff. Just mainly going up there a getting a good swing on a pitch that I can handle. I didn't think it was that big of an adjustment. Playing in the SEC, I'd see really a lot of good pitching. I'd go up against Nola and Beede from Vandy and, so it wasn't a big adjustment as far as pitching. It was just the everyday grind of being out there and trying to get better. That was the biggest thing, mentally, I would say. -You mentioned Aaron Nola, who is now among the Phils' top prospects. How did you do against him? Obviously, yeah, in the SEC you face a lot of those top notch guys and you see a lot of guys being successful in the pros, so you have an idea of who they are and, when you go up against them, what they're supposed to be drafted as. -Let's talk about your name (pronounced DAME-ik TOM-shay). It's very unique and I even saw you play a couple times this year before I knew how to pronounce it correctly. Yeah, it is. I mean, for whatever reason, my parents wanted to make a unique name out of the last kid that they had. Both my names are Czech, so, I mean Damek's like Hebrew or something. I don't know the full story behind it. It's not like a family thing and my parents are from America. It's not like we're from some other country. It's just something they liked and wanted to name me. I got four other siblings and they're Jennifer, Stephanie, Anya and Anthony. I don't mind it. I'm not one to get mad if they don't say my name right the first time or get it right at all. It is what it is and I know it's gonna take time for people to really come to grips with what it is. -Coming from Iowa, attending college in Alabama and then out here to New Jersey to play with Lakewood...what did you know about New Jersey before joining the BlueClaws this year? Pretty much I watched the Jersey Shore on MTV and other than that, not really a whole lot at all. It's a nice place. The people are really friendly and I lucked out with a really nice host family. I'm happy with my time here so far.